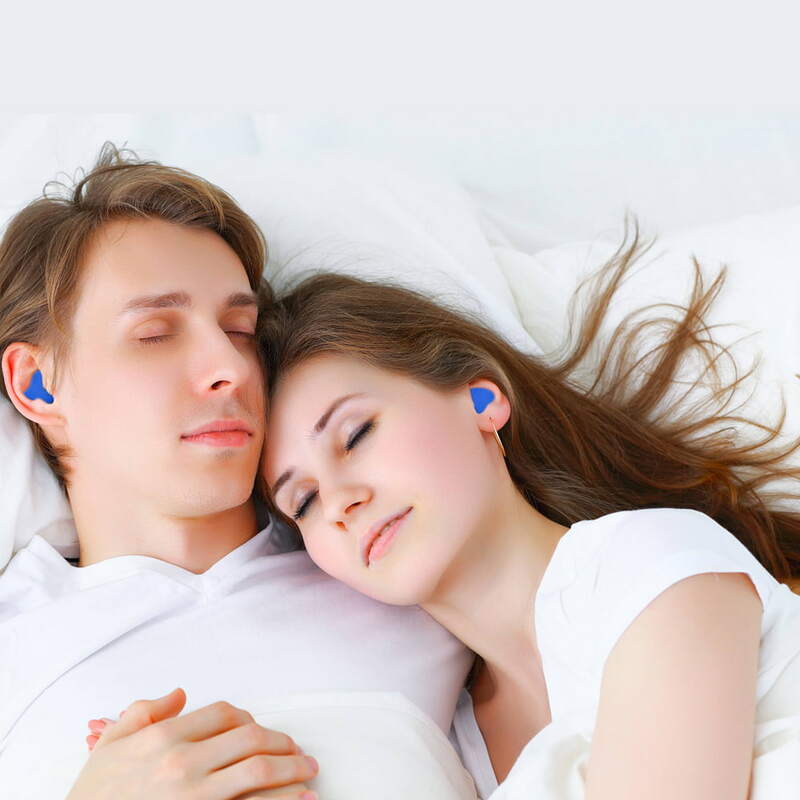 Perfect for Sleeping "TOGETHER" in "Peaceful Silence"
The ideal ear plugs for wearing "All Day" or "All Night": They Block Out LOUD Traffic, Airplanes, Trains & (ALL) Snoring Sounds. ( All Natural ) * Mighty Plugs * are blended from the " Purest Organic Beeswax" and the "Purest Sterile Cotton". Natural Beeswax provides "Phenomenal (Sound) Blocking" and a pleasant "Soft & Gentle" Comfort that (eliminates) any feeling of wearing an ear plug. *Mighty Plugs* are the longest lasting "Reusable" Ear Plugs; able to be worn (35) times and more; they simply are the *Best Value* of any ear plugs made today! We are committed to bringing you "Peace & Quiet" by providing you the "highest blocking", "most comfortable" ear plug on the planet. We guarantee you will "Sleep in Peaceful Silence". Mighty Plugs are all about "Sleeping in Silence". They deliver to the wearer the "Most" Sound Blocking of any ear plugs ever produced!!! Pure Beeswax, a "Natural Wax" phenomenon, is "Perfectly Compatible" with skin and especially pleasant to wear "All Day" or "All Night". It provides a "Soft & Gentle" Comfort that (dissolves) any feeling of wearing an ear plug. "Your claims are accurate! I live on a student campus with 12,000 hard-partying students who scream and shout all night and play the most horrible music imaginable! As soon as I put in your earplugs, blissful silence until my alarm goes off the next morning. I'm ordering more and will continue to order as long as I live on this campus!" Thank you, So Grateful!" "All I can say, is that they are perfect for the application I use them for. I live in a basement apartment, and the person upstairs is terribly noisy and your ear plugs make the noise disappear into the void, and I sleep like a baby. Thank you so much"
I can't hear the sound anymore! "These ear plugs are brilliant. I live in an area with busy traffic and they completely block out the noise of it. I have already recommended the ear plugs to other friends who are having problems sleeping because of noise. I'm also using them for swimming and they are just as effective keeping water out of my ears and are much more comfortable than the usual ear plugs for swimming. Thank You. Wow, Mighty Plugs; yes they are definitely the World's Finest ear plugs."